This Easy Crockpot Mexican Pork Stew is perfect for a day that I know is going to be busy close to dinner time. 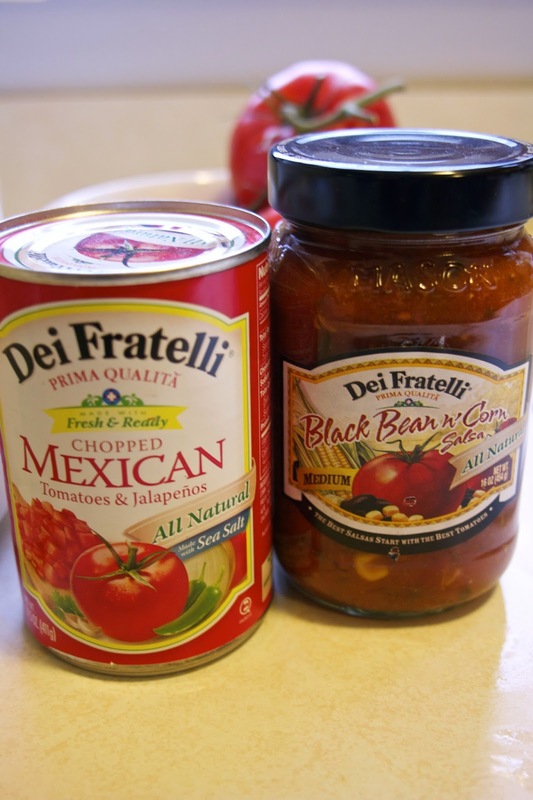 In the morning I literally throw the pork that I had cut at the store into the crockpot, dump a can of Dei Fratelli Chopped Mexican Tomatoes and Jalapenos along with a can of their Black Bean n Corn Salsa over the pork. If I have time I add an onion... turn on the crockpot and go about my day. When it is close to dinner time I put some rice in a rice cooker or I heat up some corn tortillas and dinner is ready! Dei Fratelli, a preferred tomato brand sold throughout the United States, announces its Seventh Annual Ripened Recipe Contest as a way to celebrate National Tomato Month. This national cooking competition will take place from October 1 through November 15. Home chefs are encouraged to create an original recipe using at least one Dei Fratelli tomato product, including the Dei Fratelli Truly™ Tomatoes that launched last year. The grand prize winner will receive a $250 VISA gift card, free Dei Fratelli products for a year, their recipe shared on the Dei Fratelli website, E-newsletter and social media pages, along with a YouTube video showcasing how to make the recipe for viewers. 1) In a medium size bow mix together the salsa and tomatoes. Slowing whisk in the corn starch and a teaspoon of salt and pepper. 2) Chop onion and put it into the crockpot with the pork. Pour sauce over the pork and cook on low for 6 to 8 hours or on high for 4 hours. 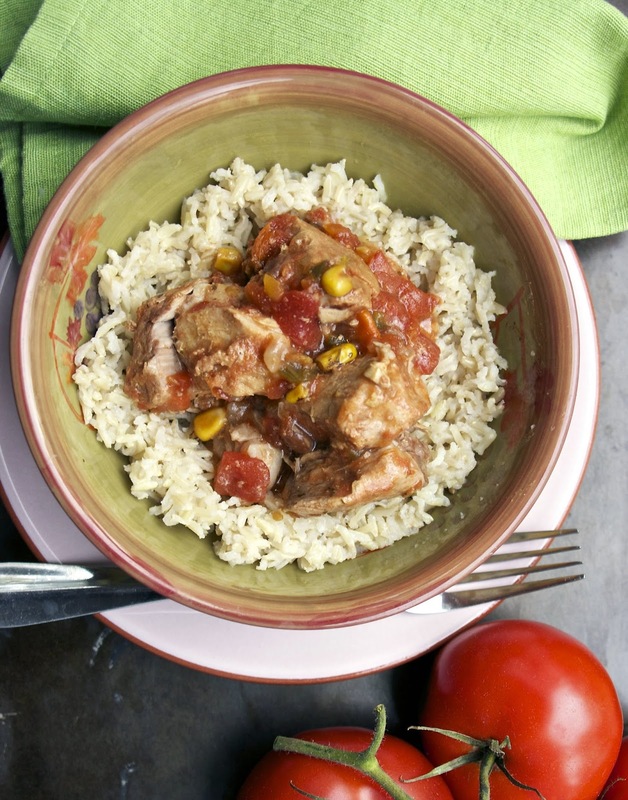 Serve over rice or with corn tortillas. This looks delicious. Although I don't have as busy a schedule as you do, I still love my crockpot and use it often. I hope you entered this in the contest. Think it would be especially good with tortillas. I have entered the contest with a chicken dish and I plan on submitting this recipe too. I am very impressed with Dei Fratelli's products. They make great meals. 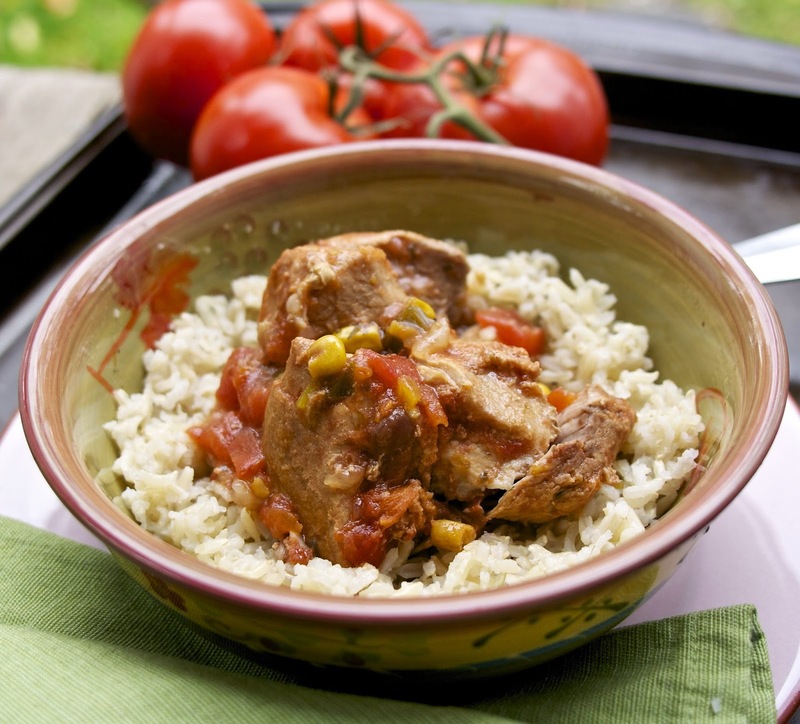 Oh this recipes for crockpot mexican pork stew looks delish! good luck with the contest! Perfect for these cool Fall evenings! Thank you so much for linking up at Tasty Tuesday! Your recipe has been pinned to the Tasty Tuesday Pinterest board! Please join us again this week! I don't think it gets much easier than this! Perfect busy weeknight dish, Diane. Thank you for sharing. 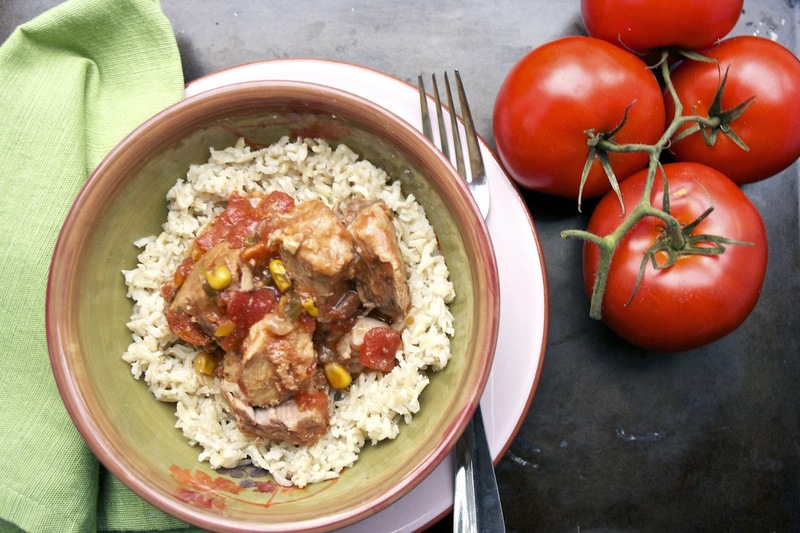 Delicious Mexican pork stew, thanks for sharing with Hearth and Soul blog hop. Pinning.